Within a 10-minute drive of the McKinley Memorial & Library, this Youngstown hotel offers a hot daily breakfast, indoor swimming pool and free Wi-Fi. Hampton Inn Youngstown West features a 32-inch flat-screen TV in every guest room. A work desk and coffee maker are also provided. Recreational facilities at the Youngstown West Hampton Inn include a gym and a sports court. A business center with printing, fax and copy services is available. The National Packard Museum, celebrating Packard automobiles, is 10.5 miles away. 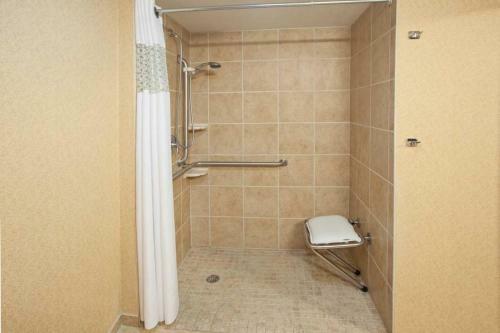 the hotel Hampton Inn Youngstown West so we can give you detailed rates for the rooms in the desired period.